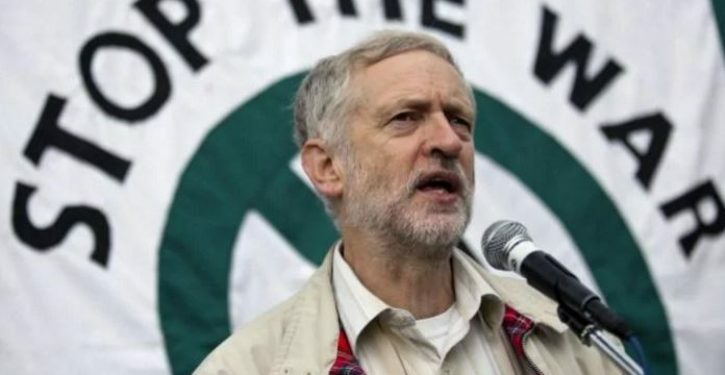 Jeremy Corbyn, the leader of England’s Labour Party, has a good chance of being England’s next Prime Minister, despite being an anti-Semite and a defender of foreign dictatorships. He has defended the dictatorial communist regimes in Cuba and Venezuela — especially the regime in Venezuela, which has presided over the economic collapse of that country, despite oil prices being higher than they were in 1999 when the left took power in that country. 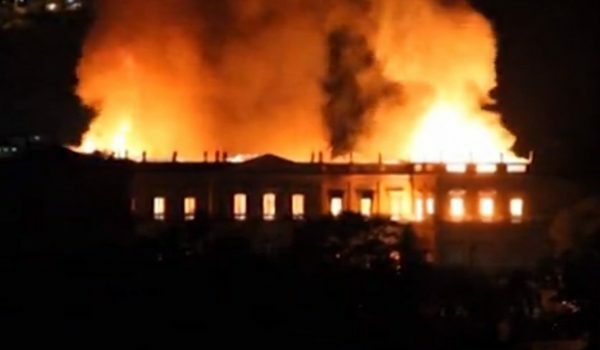 Yet, notes The Spectator, “In 2014, Jeremy Corbyn rang President Maduro live on a Venezuelan television channel to congratulate him.” Richard Burgon, Corbyn’s choice for Justice Minister if Labour retakes control of England, exulted in the sham election in which Nicolas Maduro was “elected as President of Venezuela,” calling it a “victory” for the country’s laborers, some of whom have since died of malnutrition. This has had seemingly no effect on Corbyn’s popularity’s. As Bloomberg News notes, Corbyn’s Labour Party leads England’s governing Conservative Party in opinion polls. If an election were held today, Corbyn would become Prime Minister. Corbyn has also praised the supposed “heroism” of Cuban Communist dictator Fidel Castro, whose regime killed thousands of people and reduced to poverty what was once one of the most prosperous countries in Latin America. (Contrary to the claims of Castro’s defenders, pre-Castro Cuba had good healthcare and educational systems, by world standards, long before Castro appeared on the scene, as a Washington Post fact-check illustrates. Today, notes the Washington Post’s Charles Lane, Cuba is economically and socially backward in important measures, contrary to the Cuban propaganda peddled by some gullible reporters). I worry about the well-being of my wife’s Jewish relatives there. My wife and daughter are Jewish. My wife’s mother was a Jew born in Morocco. But her family was forced to flee to France in the 1950’s due to escalating anti-Semitism, including violence. They were forced to leave almost all of their worldly possessions behind — including a house in a prosperous neighborhood of Casablanca that my wife’s grandfather built by himself. They had also weathered an earlier phase of anti-Semitism they could not escape: living under the rule of the pro-German Vichy Regime, which took over France and its colonies, such as Morocco, after Hitler’s Germany defeated France in 1940. In November 1942, American and British troops took over Morocco in Operation Torch, liberating it from pro-Nazi control. This saved Morocco’s Jews from the fate of thousands of Jews in France, who were sent to concentration camps such as Auschwitz. The U.S. also took control of neighboring Algeria, which was also a French colony at the time; there, America was aided by 400 mainly Jewish French resistance fighters. My wife’s mother was everlastingly grateful for being liberated by American troops — grateful to America, and to President Franklin Roosevelt, who overruled “senior U.S. military commanders” in ordering Morocco’s liberation. Those commanders were “strongly opposed” to Operation Torch, which they feared would backfire. My wife’s grandparents were elated when flyers announcing the impending liberation fell from the sky from American airplanes, like manna from heaven. One of these flyers is in my wife’s possession, an item I also cherish as a memento of an event that enabled my wife and daughter to later exist. A copy of the flyer in our possession is also posted at Wikipedia. The flyer pledged to restore religious freedom and France’s democracy. France’s authoritarian Vichy Regime had eliminated the democratically-elected French parliament, banned political parties, and imposed antisemitic decrees. The flyer, bearing a “message from the President of the United States,” was written in both French and Arabic. Its words sounded majestic in either language. A few media outlets, such as the New York Times, published photos of Clinton and Farrakhan. 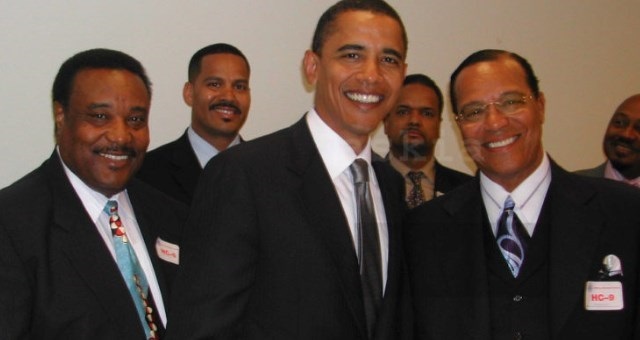 But Farrakhan was cropped out of the photos of the event published by most news networks such as ABC. In 2005, Farrakhan appeared with then U.S. Senator Barack Obama, as memorialized in a photo that the media did not publish until after Obama left office. Obama reportedly had Nation of Islam members working in his office at the time. Members of the Nation of Islam seem to get away with anti-Semitism because they are also anti-white. Anti-white racism apparently excuses all sins in the eyes of much of the media and the Democratic Party, which are obsessed with a “white privilege” paradigm that falsely claims non-whites cannot be racist. 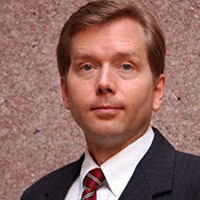 As a lawyer noted earlier at this blog, courts have rejected this claim: In 1976, the Supreme Court unanimously ruled that whites are protected by the civil-rights laws against being fired based on their race, in McDonald v. Santa Fe Trail Transportation Co. Courts have also consistently ruled that it is illegal for blacks to racially harass their white co-workers, in cases such as Huckabay v. Moore (1998) and Bowen v. Missouri Department of Social Services (2002). But this false assumption is widely shared in the media. No student newspaper would even criticize the bigoted Nation of Islam speech at University of Virginia on November 15, 1990, which lasted for four hours, featured an enthusiastic audience of 600 students, and was filled with racial hatred and anti-Semitism. Nor would any individual journalist criticize it (except for me — I wrote an op-ed condemning the speech for the University Journal), until a Muslim minority student from Bangladesh, Arshad Rahman, publicly condemned the speech on November 28 as a “heretical expression of race hatred.” That broke the politically-correct taboo among student journalists against criticizing the speech, and a few of them gingerly criticized the speech, ignoring its racism, but gently objecting to its antisemitism and an antigay remark made by the speaker. 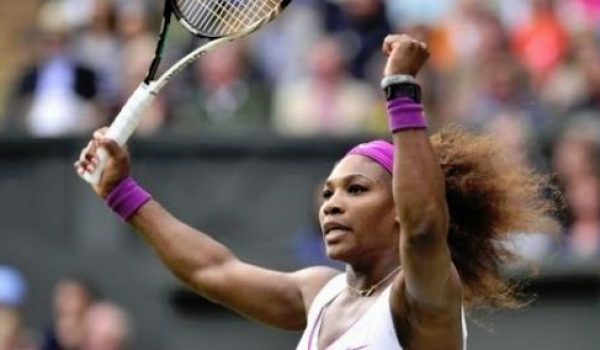 What does Serena Williams think every athlete ‘should be grateful and honored’ for?